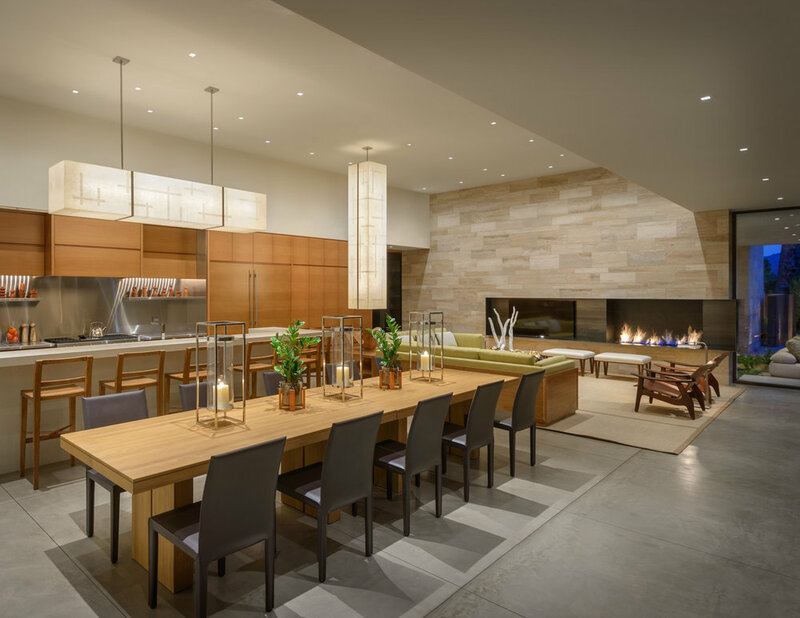 This client had enough time and experience to be his own general contractor on this home, which was built on part of the old Jack Warner estate in Old Las Palmas. The design was to be modern, not mid-century, and the house was sited with a primary program requirement in mind, a 25 meter lap pool the client had always wanted. 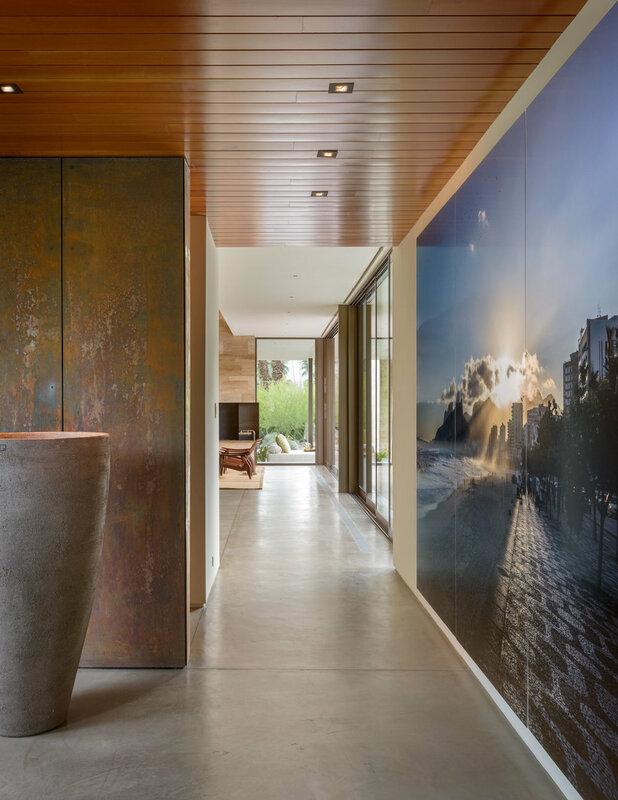 The palette of materials is kept to a consistent language of corten steel, stone, cement, and aluminum trim. Wood ceilings add warmth, and all rooms, including the showers, have a natural light source. Furnishings are comfortable, modern, and predominately custom by The Wiseman Group, including suede headboard-walls with cantilevered bedside tables. 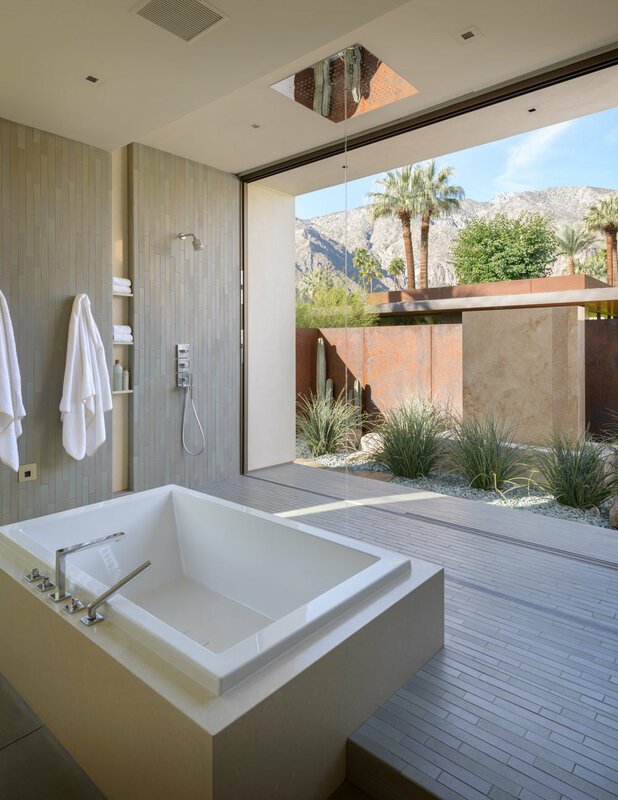 Spaces achieve elegance due to the appropriateness of colors, art, and landscaping, all of which reflect the natural beauty of the surrounding desert.